The Indian Space Research Organisation(ISRO) on Wednesday put into orbit India’s latest communication satellite amid concerns over Cyclone Gaja spoiling the launch. GSAT-29, a 3,423 kg advanced communications satellite, is also the heaviest ISRO has put into orbit. 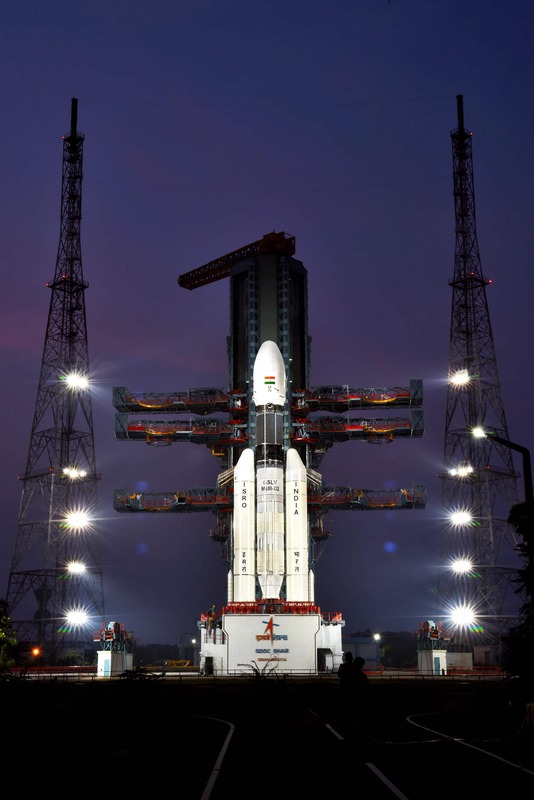 The launch of the rocket GSLV-Mk IIID is instrumental for ISRO as it will be used for the ambitious Chandrayaan II and the manned space mission Gaganyaan. GSLV-Mk III is capable of launching 4-tonne satellites, pushing India into the big boys’ space club. ISRO successfully conducted the orbital test launch of GSLV-Mk III D by placing the GSAT-19 satellite in a geosynchronous transfer orbit on 5 June 2017. The first operational mission of this vehicle is going to be the January 2019 Chandrayaan II mission. The rocket took 15 years to make. GSLV-Mk III is designed to carry 4-tonne satellites into geosynchronous transfer orbit or 10-tonne satellites into low earth orbit. This is about twice the capability of GSLV-Mk II. It is a three-stage launch vehicle with two solid strap-ons, a liquid core stage and a cryogenic upper stage. Compared to the solid and liquid stages, the C25 cryogenic stage is more efficient as well as complex. GSLV-MK III is 43 meters tall and even though it is the heaviest among India’s operational launch vehicles, it is also the shortest. GSLV-Mk III weighs 641 tonnes, which is equal to the weight of five fully loaded passenger planes. Each launch of GSLV-Mk III costs upwards of ₹ 300 crores to the space organisation.